Hi, Maggie here. How are you? It’s been a little while since we’ve posted. 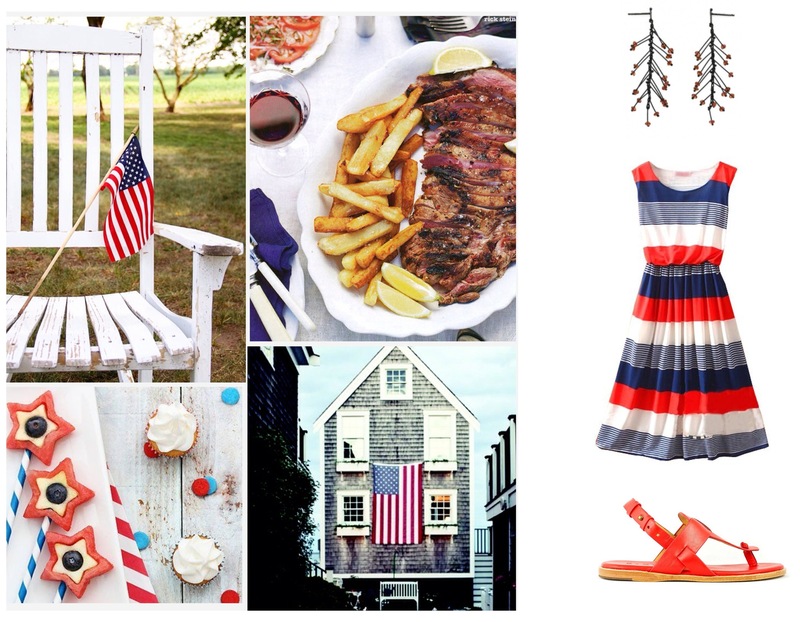 Friday and the 4th of July is just around the corner, we have some patriotic picks to share with you. Whether you are planning a low key day with family or catching up with friends, we’ve got some ideas to keep you in the spirit of things, so to speak. 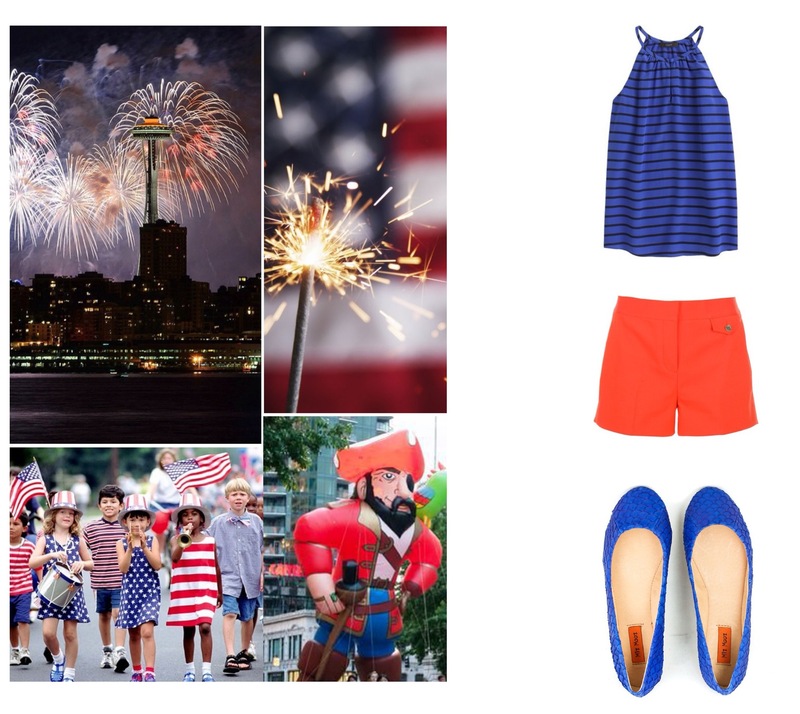 Don’t worry there’s no star spangled attire featured here, just some fun, festive ideas. Are you planning to BBQ? Wear your red, white and blue with a fun striped dress, some “sparkler” earrings and a casual but polished looking red sandal. If you are planning on going into town, you might as well be cool and comfortable. These royal blue flats will let you express your patriotism and won’t tire your feet from all the walking. Have you been invited to spend the day on a friend’s boat? Lucky you! 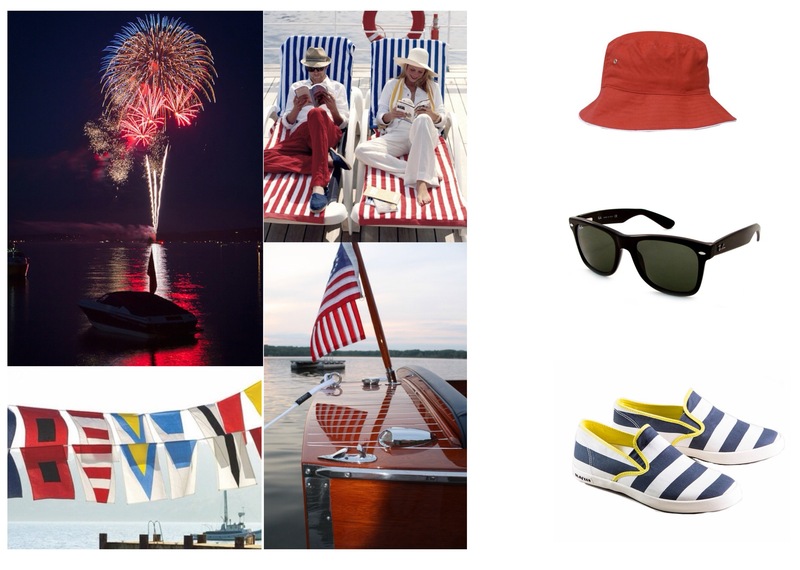 Just don’t forget your hat, sunglasses and especially your cute striped slip-ons for cruising in style. Have a great weekend! We at re-souL wish you a very happy 4th and hope to see you soon! Oh, did I happen to mention that all these styles are on sale right now? Bonus! 1. The denim jacket – worn with a chambray shirt or layered with another jacket this look would look great with our 1000 mile boot from Wolverine. 2. 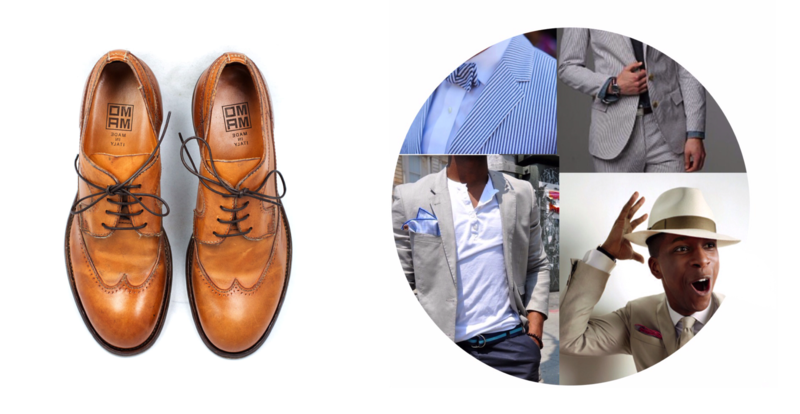 The Seersucker Suit – whether striped or in a light color, wear this british tan wingtip from MOMA to complete your smart new look. 3. Splash of Color – Denim or baseball jackets in bright colors need to be toned down with a neutral shade. We like this casual from OHW? 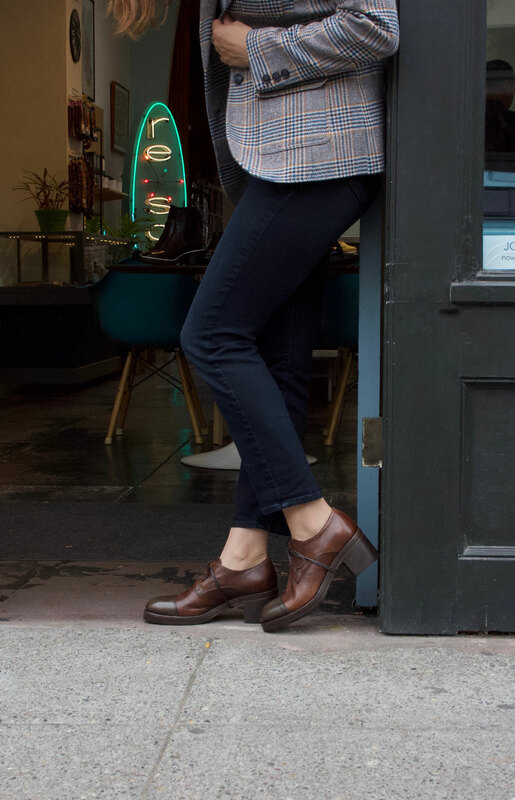 Comfort doesn’t have to cramp your style. 4. Bold Stripes – Stripes are everywhere this season. Why not don them on your feet? We like this stripe slip-on casual from Seavees.